Sarah Hyche is an accomplished leadership consultant and credentialed executive coach whose clients are business professionals seeking guidance on leadership strategies and career advancement opportunities. She partners with her clients to accelerate personal and professional performance and expand their leadership capacity. In addition to supporting Institute Success™ clients, Sarah serves as a career coach to alumni and students of top business school programs. She also serves as a coach and board member of Third Sector Leadership, a non-profit program based in Charlotte, NC dedicated to advancing leadership and effectiveness of non-profit executive directors. Sarah’s goal in coaching is to help business professionals gain greater self- and organizational-awareness to increase their own effectiveness in whatever work they choose to do. Sarah values working with clients who are engaged in the coaching process and open to future possibilities. 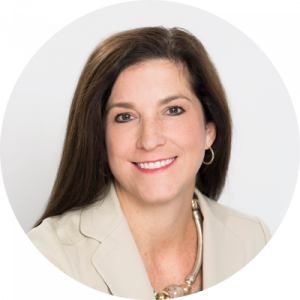 Previously, Sarah served as Senior Vice President, Leadership Development at Bank of America delivering executive coaching and onboarding, talent and performance management, and organizational design services for the Global Marketing organization. She has also held senior strategy, marketing and product management positions across a wide range of industries and organizations.